SDMX or Statistical Data and Metadata eXchange has become an international standard for exchanging data. It makes automated data visualization of international data exponentially easier. Why? Because more and more organisations and government agencies provide their data in SDMX format, which standardizes the data structure, format, coding and nomenclature. This means that an application can interpret SDMX data regardless of the source. It no longer requires any tinkering or customization to interpret and display it. Automated data visualization is therefore much easier, more efficient, and less error prone, compared to other formats such as XML, JSON and CSV. Through StatPlanet’s support for SDMX, you could select from tens of thousands of international indicators, from Arable land to Urban population growth and everything in-between, from any data provider which supports SDMX, such as the World Bank, OECD and Eurostat. Since the data is obtained directly from the source organisation, it will always be up to date. 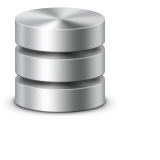 StatPlanet currently supports a specific iteration of SDMX called SDMX-ML, which is a compact, XML-based structure suitable for large data queries. For more details, see our SDMX Tutorial. If you would like to create automated dashboards and visualizations using SDMX data, please contact us.